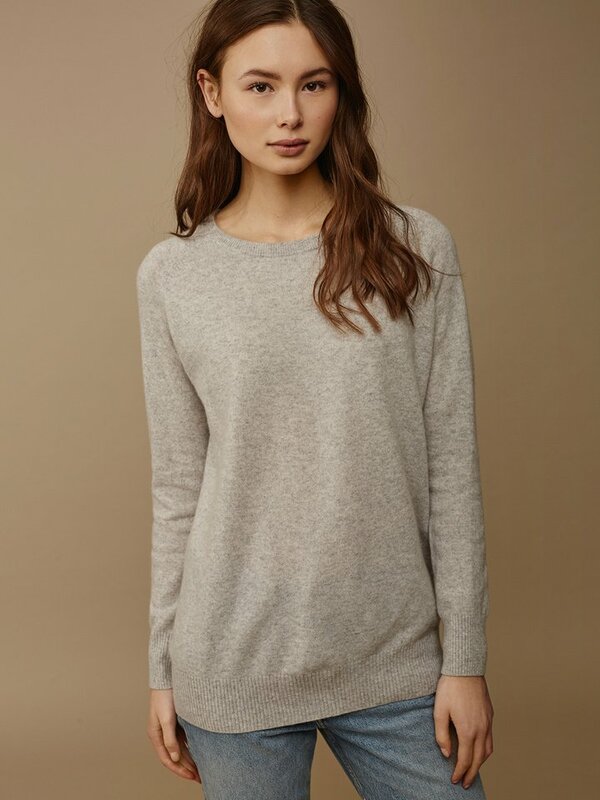 A loose fit sweater with o-neck. Knitted in 100% cashmere. Our oversize sweaters are incredibly cozy. Of course in 100 % cashmere and available in many different colours and classic styles. Warm, soft and trendy knits.